I’ve got my tickets! Do you?! Each year, the Happy Quilters of St. John UCC, Mascoutah stitch and promote an amazing youth quilt to support DuBois Center. 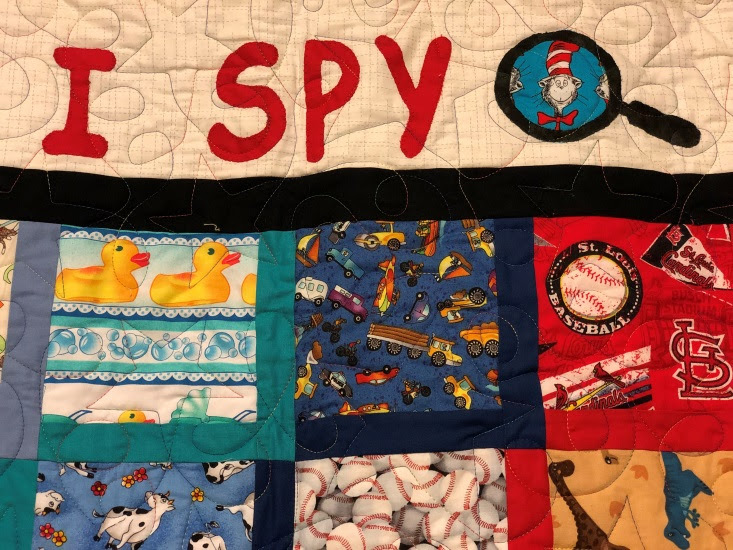 This year’s “I SPY” treasure is based on the popular books of picture riddles. 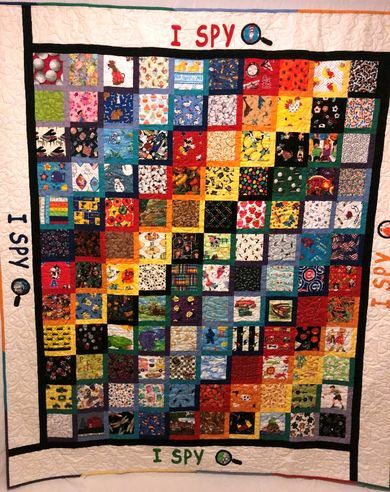 It is 70 x 80 inches of fun created from 120 different fabrics! Tickets are $1.00 each or 6 for $5.00. The church matches what the Happy Quilters raise, so each dollar you donate is two dollars for DuBois Center.